Today, the Great and Holy Thursday, we paint the Easter eggs here in Greece. The traditional classical way wants the eggs to be painted red, but for creative people an Easter egg hides endless possibilities. I really adore all these boxes with paints and stickers that provide you the materials and the ideas to create unique decoration for your Easter eggs. So, as I'm preparing to make my own painted Easter eggs, these are the last minute ideas for inspiration and not only (all these eggs are available via Houzz). 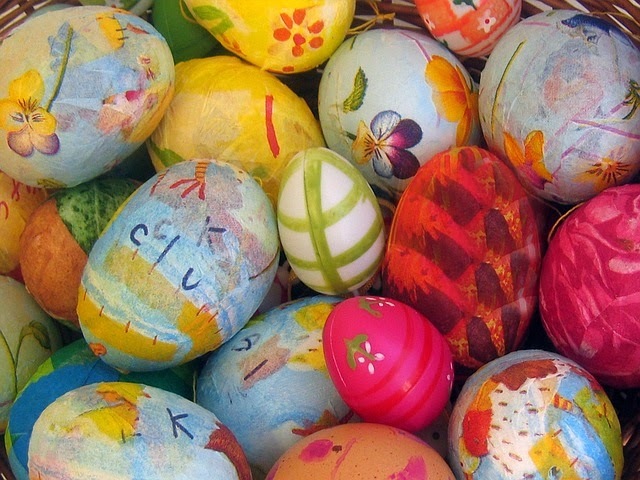 Many colors, or one color, or patterns in white, being covered with glitter or colored decorative sand, painted with doodle patterns... All these Easter eggs are so beautiful. Dimitra Decorasylum 17 Απρ 2014, 6:03:00 μ.μ. Gina-Teta 19 Απρ 2014, 1:09:00 π.μ.